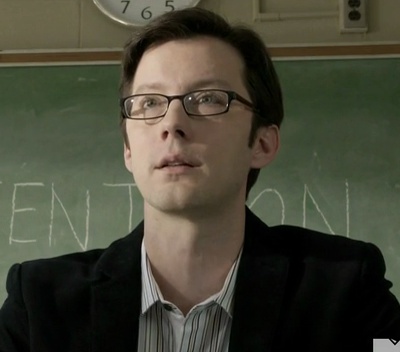 Adrian R. Harris is the Chemistry teacher at Beacon Hills High School. He seems to have a particular disdain for Stiles and Scott and a particular liking for Jackson. Mr. Harris routinely complains about how little his students care and how much they crush his spirit to be a teacher. He used to be a drunk. 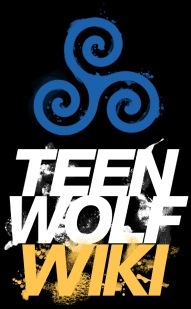 Kate Argent used him for information on how to start a fire without leaving evidence that would get her caught. He never told the cops about the part he may have played in the Hale House fire because he didn't want to lose his job. Adrian gave Laura Hale a sketch of the Argent pendant as the only piece of information he had to offer on who the woman he talked to was. He gives Sheriff Stilinski that same sketch.